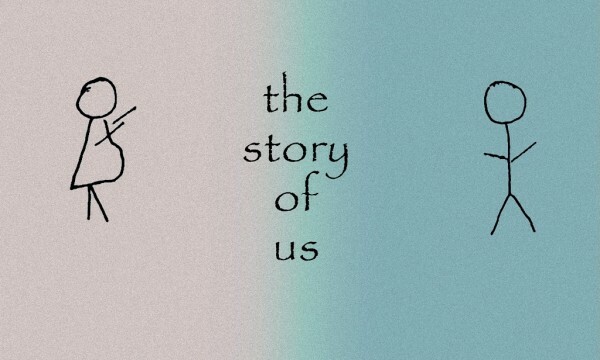 The story of us. Part 4. Finally, I started to come around. I was huge, swollen, but no longer losing most of my food. My hormones stopped telling me how awful my husband was. I was starting to think maybe I hadn’t made a huge mistake in walking down that aisle. And steady as a rock, Blaine was there for me. My due date was June 30, 9 months and 9 days after our wedding date, and it loomed in front of us. We joked that the baby had better stay put until Blaine’s birthday, June 21. It was our nine month mark. June 6, labor began. I drove myself to the hospital and Blaine met me there. This was not supposed to happen yet. We were checked in on the maternity floor of the small Spearfish hospital. They kept me for observation and informed me that if I was in labor, it would be stopped. If they couldn’t stop it, I’d be sent to Rapid City, the larger town in the area. Spearfish doesn’t have a NICU and won’t deliver a baby less than 37 weeks. I was 36 weeks and 4 days. If I had been 3 days further along, they would have left me to labor. But I wasn’t. A few hours later, I had dilated 1 cm, and a shot of awful was injected into me. I shook and froze and felt generally awful for an hour or so, but contractions stopped. I was sent home. ACH! Adrienne! You can’t quit now, it’s just getting interesting! !